I am about to install my bar wraps. (I just read the piece on your blog regarding the shrinkage issue one of your customers had. I will keep that in mind). The question I have is, when I get to the end of the either side of the handlebar with my sewing, I know I am supposed to stop and cut the leather, but what if I want to place an end cap? Do I allow a little more length and tuck that in before placing the end cap or do I merely stop at the end like the video suggests and allow the end cap to be right up against the end of the leather where I stopped? Not all bar ends are the same, but we only showed one way to finish off your bar ends in our installation videos for the sew-on bar wraps and the braided bar wraps. 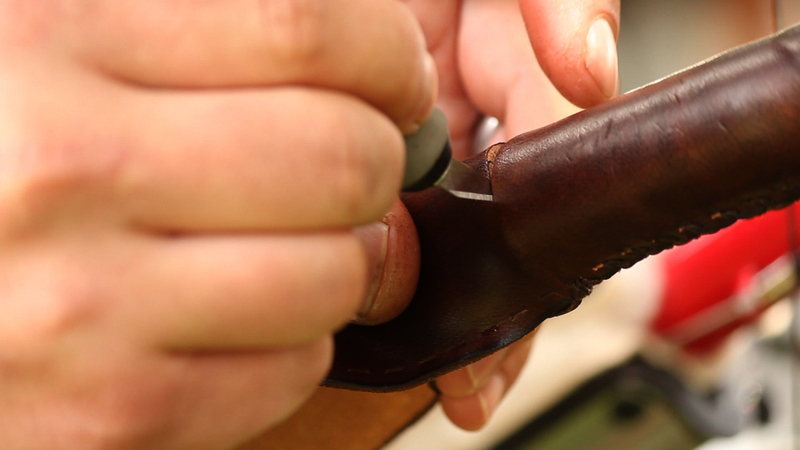 In the videos, we show cutting the end of the leather flush with the end of the bar. 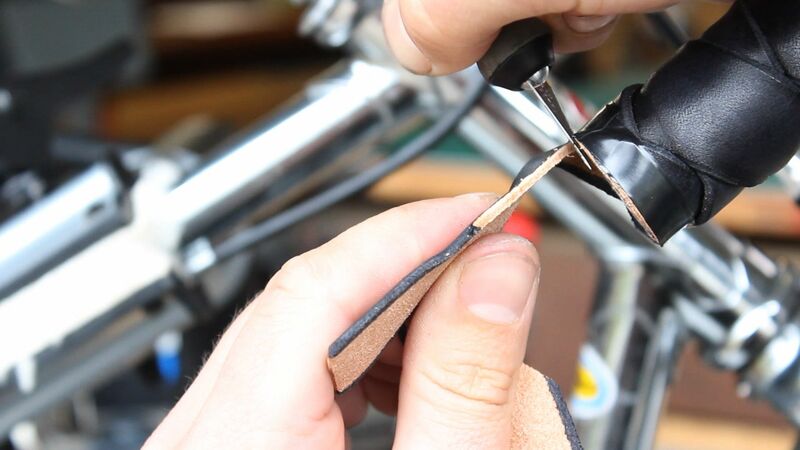 But, another way you can finish off your bar ends is to tuck the ends of the leather inside your bars, then plug it with a bar plug. This is a great option if you can manage it with your bar plugs, because it reduces the risk of shrinkage at the ends. Personally, I really like the look of the leather tucked into the bar-ends and then plugged with bar plugs, but my favorite bar plugs (Velox) don’t allow it. If your bar plugs are too tight to allow the leather to be tucked in, then you’ll need to cut it flush like we showed in the video.